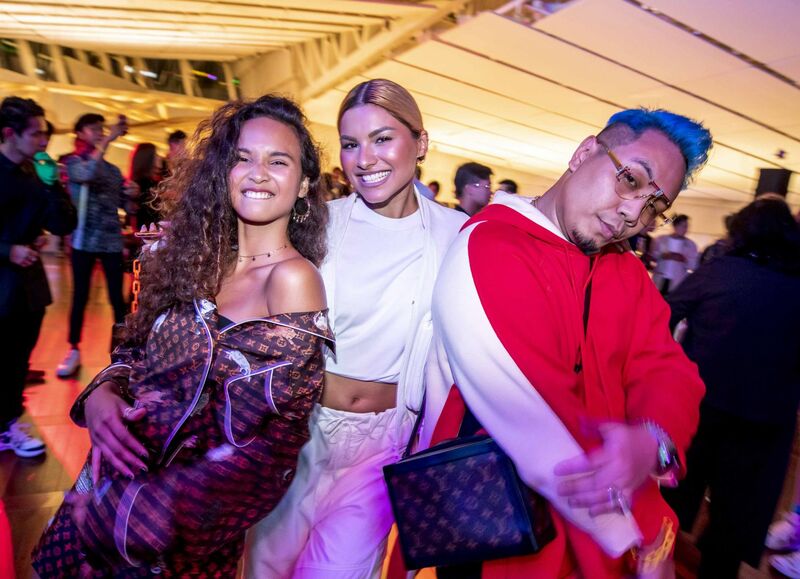 Louis Vuitton celebrated the launch of their men’s spring/summer 2019 collection with an in-store party at the Louis Vuitton Island Maison at Marina Bay Sands on January 25. The debut collection by Men’s Artistic Director Virgil Abloh, the collection takes inspiration from the idea of white light hitting a prism to produce a rainbow explosion of colours, and the story of The Wizard of Oz. Guests were invited to explore the collection of ready-to-wear, leather goods, shoes and accessories, set within a specially designed space inspired by the world of Oz. For the first time ever, the third level of the Island Maison was transformed into an exclusive one-night-only club, with DJ Kaye of Darker Than Wax and DJ Myrne lighting up the party with dance tunes throughout the night. Guests had fun with the psychedelic rainbow prism forest, while the rainbow façade of the Island Maison further added to the colourful atmosphere of the party.